It’s been a while since I took part in the WordPress weekly photo challenge. And I have more or less missed the date of this week’s challenge because it was on Friday. We have resident pigeons who snaffle the seeds from the bird feeder. I say ‘snaffle’ because we intend the seed to benefit smaller birds. 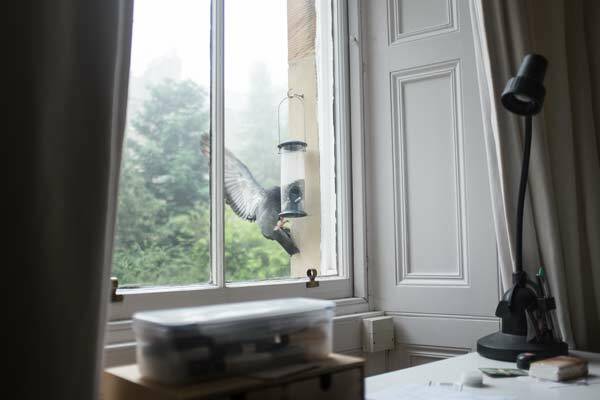 But pigeons have their place in the universe – and in this case their universe includes this bird feeder. 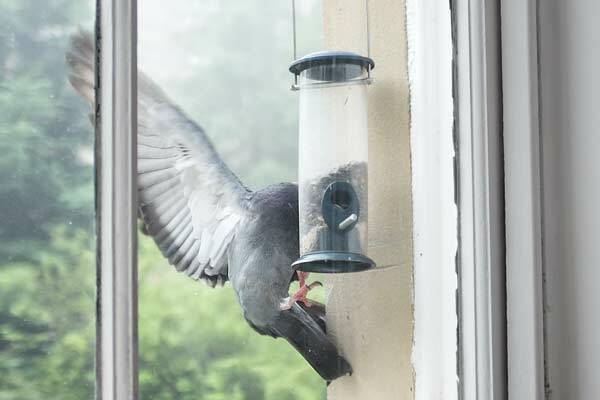 Yesterday, this pigeon found his way into the bird feeder outside our bedroom and I had my camera handy. I wasn’t thinking of the Photo challenge theme until I looked at the shot on my computer. Now I have decided to submit it for this week’s challenge, which is containers.